Like in the past two Generations, Mystery Gift is not unlocked by any special password. Instead, the Mystery Gift feature is available on the menu immediately. This will allow you to easily be able to get Mystery Gift and be able to access the gifts when they come. 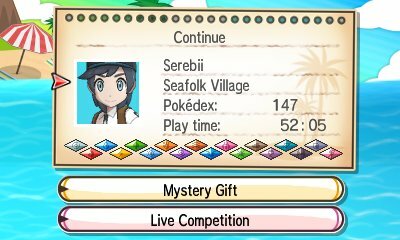 You will, however, need to have obtained the Pokédex in the game before you can use the Mystery Gift feature. You will see three different options in the main Mystery Gift menu; Receive Gift, Card Album and Red Info, the latter will give you in-depth details on what to do in a variety of situations including if your card album gets full. When you enter Mystery Gift and go to Receive the Gift, you will be presented with four different options on how to proceed. These are all used in order to retrieve various events and the methods used depends on the location and type of the event. The Get From Wireless is the feature that is predominently used when events are being physically held such as at Pokémon Centers in Japan or at National Championships. When you go to these events, simply go to this feature and wait for the game to connect. This will allow for the Wonder Card to be downloaded. Get from Internet is one of the more commonly used features. From time to time, various events will be held online to celebrate various things such as anniversaries or product releases. This feature allows for you to get the event distribution from home. The final way is another which requires the Internet. Various distributions will be given where you will get a Serial Code. This Serial Code can only be used once and needs to be entered into the form to be received. 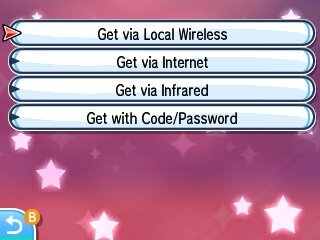 There are also special Codes which are shared by all players so they can use the same code to receive the Pokémon being distributed. There is also a fifth method of receiving gifts not listed on Mystery Gift. 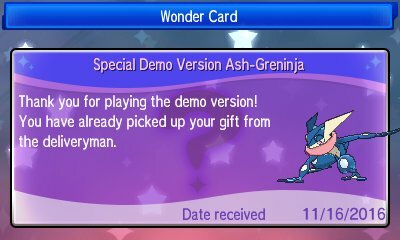 When using separate software such as the Pokémon Sun & Moon Special Demo Version or Pokémon Bank, when the software is going to send special Pokémon or items to the game, it will do it by automatically adding the Wonder Card to your save file. When you download an event, you will be given a special Wonder Card. This card holds the details of the distribution. The cards are stored in the Card Album and you can hold up to 48 different Wonder Cards at any one time. Pokémon distributions have a Purple card while item distributions have a turquoise card. As there is a finite amount of cards you can store, you will need to delete some to make room. You can also swap the position of cards so that you can change the order and make sure you pick up a certain Pokémon first. A new feature is also that a Pokémon distribution may also come with a special item that gets picked up at the same time. This item is not held by the Pokémon but rather comes separately. This is used in the distribution of Z Crystals with various Pokémon. fter you have received the gifts, you need to pick it up from the man in the Pokémon Centers. 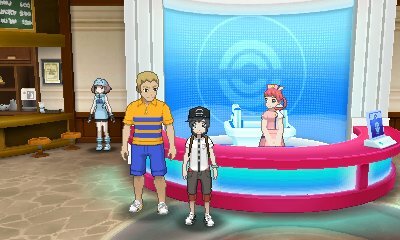 From Sun & Moon, if you have multiple distributions waiting to be picked up, you can accept the option to pick them all up simultaneously. This is very useful with items. For Pokémon, you do need a slot in your party and Synchronise will not work to change the nature of the gift.